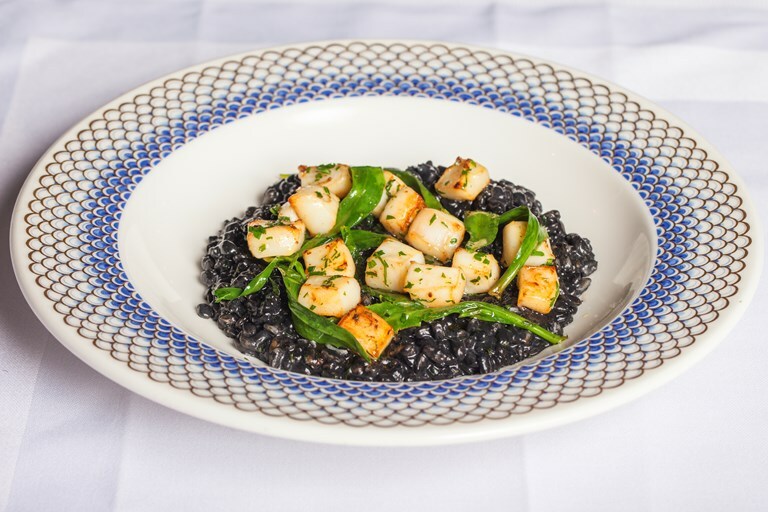 This striking squid ink risotto recipe by Mark Hix uses spelt instead of rice, grains packed with protein which make a hearty and memorable starter dish. While the ink is used to give the spelt risotto its dramatic colour, the rest of the squid is fried lightly in butter and tossed with chopped herbs and sea aster (an easily foraged sea vegetable). Ask your fishmonger to prepare the squid for you to make this starter recipe even easier, or learn how to clean a squid yourself if you have time.